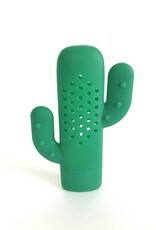 Next time you are making a pot of beans or a nice soup use this handy dandy thing! You just put your herbs in there and throw the whole cactus in the pot. Then when you are done you won't have to stick you hand in the pot and pick out your oregano leaves. Pretty exciting.